What Is Mandala Art Therapy? Mandala art therapy is a form of psychotherapy in which a trained therapist guides clients through a variety of artistic processes using geometric patterns in an effort to find or restore a sense of healthy mental balance. Art therapy was put into practice long before the term itself was coined, and mental health practitioners have long understood the power of artistic expression in addressing a wide range of psychological issues. Today, art therapy is used to help treat depression, post-traumatic stress disorder, grief, anger management more. Mandalas in art therapy have gained a great deal of recent attention. 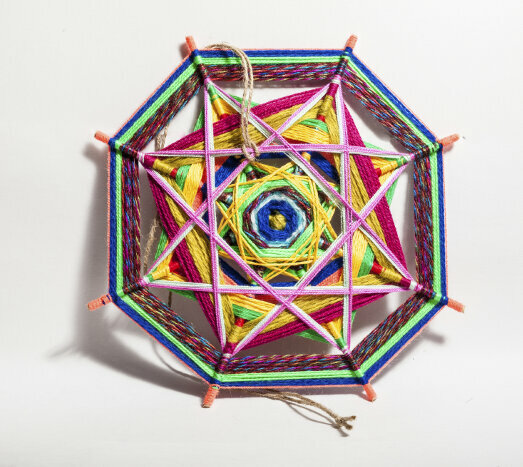 Therapists make use of mandalas within art therapy by inviting the client to create a mandala that represents his or her feelings at that particular point in time. For some, the practice is very self-soothing and centering. 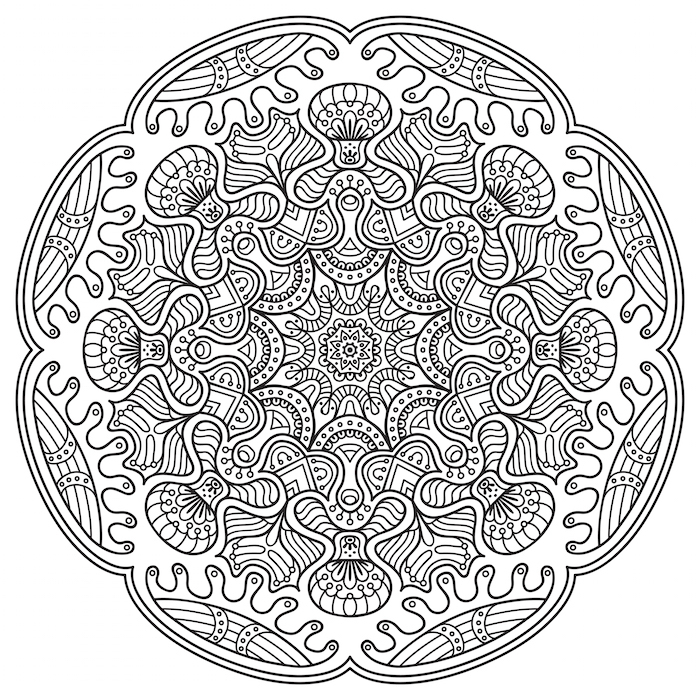 Others find mandala techniques to be powerful tools for containing negative emotions, such as fear, anxiety or anger. One of the most interesting aspects of mandala art therapy is the fact that each mandala provides a snapshot of the emotional state of its creator. Some practitioners encourage clients to create a “mandala journal” that provides a visual representation of the client’s emotional state over a period of time. This approach can be powerful for children and adults. Buddhism makes frequent use of the mandala. In some applications, mandalas are used to symbolize the universe, and to emphasize the role of the self within that larger sphere. These types of mandalas are used within Buddhism to aid in meditation or to induce trance states. Another use of the mandala within the Buddhist tradition is as a symbol of wisdom and the impermanence of human life. In these types of mandalas, the circle usually begins with a ring of fire as the outer layer. This represents wisdom, and a protective boundary against the outside world. Next comes a ring that depicts the eight charnal grounds, which is a powerful symbol in Buddhism. Charnal grounds are areas in which human bodies are left to decompose; sometimes after being burned and other times simply left above ground, exposed to the elements. Charnal grounds represent the impermanence of human life, and meditation at such sites is intended to remind one that they, too, will one day attain a similar fate. The Swiss psychologist Carl Jung is credited with bringing the mandala into Western culture, and pioneering the use of the term as a name for symbolic circular drawings. A longtime appreciation of Indian philosophy and tradition led Jung to connect his own circular art projects to the ancient use of the same basic structure and form. Jung believed that during intense periods of self-growth, people have a natural urge to create mandalas, and that the resulting artwork is symbolic of the transformative re-balancing that is underway in the psyche of the individual artist. Creating a mandala can provide a pathway to meditation and centering, giving the artist a focal point to direct his or her energy and thought. The act of drawing, painting or otherwise creating a mandala can also teach essential self-soothing skills. In other settings, mandalas can be used in conjunction with other exercises to facilitate emotional expression, and can give the artist the visual representation of a confined arena in which to place his or her anxieties, frustrations, fear or anger. The potential applications of mandalas within the therapeutic setting are as varied as the symbol itself, and mandala art has become so widely appreciated that an array of mandala coloring books can be found in bookstores and other settings.